4 stars of hilarious hijinks across Italy. Lupin the 3rd 2015 (known in Japan as Lupin III: The Italian Adventure) is based on the manga series written by Monkey Punch. The manga series itself is inspired by the popular stories written by French author Maurice Leblanc. 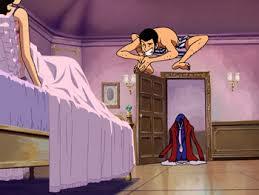 Our protagonist, Lupin the 3rd, is the grandson of Leblanc’s Arsene Lupin, a gentleman thief who keeps up the family tradition. It has been adapted to anime numerous times, this being the fifth incarnation, produced by Studio TMS Entertainment (D. Gray-man Hallow) and directed by Kazuhide Tomonaga. It is presented here courtesy of Anime Limited in Japanese with English or French subtitles. Everyone’s favourite gentleman thief is back and he’s full of surprises. This time Lupin has sent out invitations to his wedding, much to the consternation of his crew. The lucky bride to be is Rebecca, daughter of one of the nine richest families in San Marino, Italy. However, nothing he does is ever without ulterior motive and so, of course, he has a plan. His target is the Libertas Crown, San Marino’s national treasure, which is only brought out to celebrate the marriage of a member of one of the nine families. His crew have their suspicions which are proved correct, nothing is as it appears. This is the start of big plans and outrageous adventures across Italy and beyond, relentlessly pursued by Inspector Koichi Zenigata. 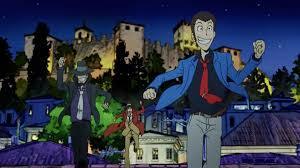 who has made a career chasing down Lupin, Daisuke, Goemon and Fujiko. 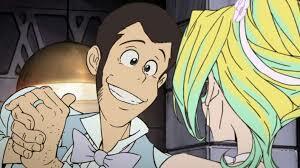 Lupin the 3rd Part IV is an extremely well written anime series. The characters are lovable and easy to relate to and the stories are highly entertaining. The animation is lovely too, almost 3D in places and the laid back feel of the whole thing makes it really relaxing to watch. Fans of the Lupin III franchise will not be disappointed by this latest offering, it does immense justice to both the ideal and the character, but it also works just as well if you are new to it. Witty and cool, this will grace any anime collection. 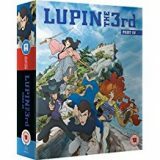 Lupin the 3rd 2015 is available to order now on Collectors Edition Blu-ray and will be released on 11th June 2018.